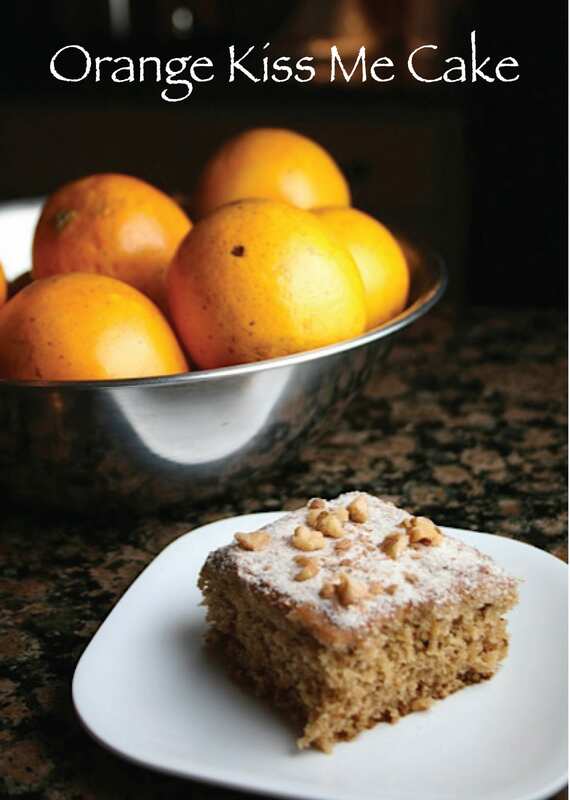 Orange Kiss Me Cake – from the 2nd Pillsbury Bake-Off contest in 1950. Recipe on Pillsbury.com by Lily Wuebel, Redwood City, CA. 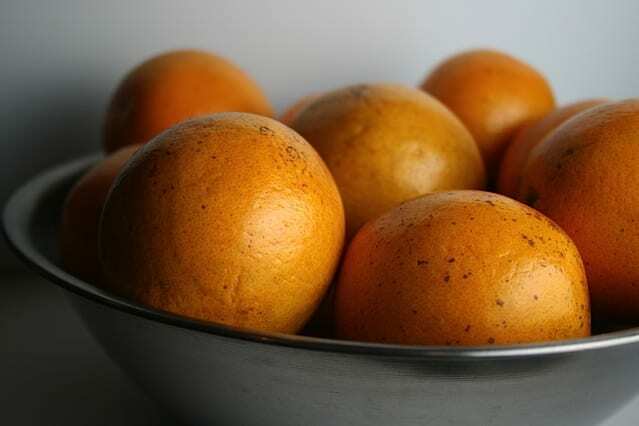 So you start with oranges. Obviously. Well, actually you only use 1 orange. Squeeze the juice which you reserve for later. Place the remaining pulp and peel in a food processor. Add the raisins and the walnuts. Process until fairly smooth. It doesn’t look very pretty, so I decided not to photograph it. Then you add the not so lovely mush to all of the remaining ingredients. (I’ll post the full recipe at the end of this post.) Beat on medium for 3 minutes. 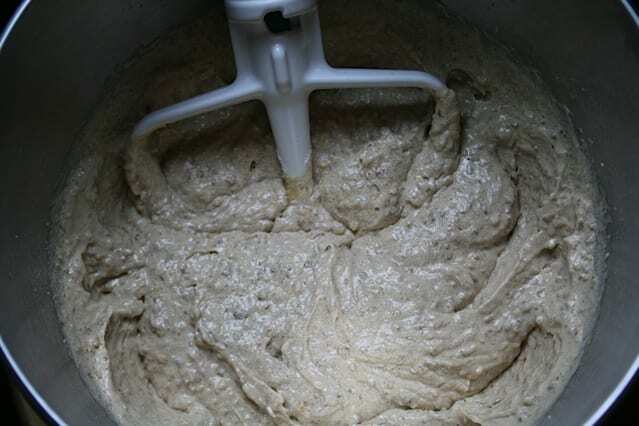 Pour batter into a greased/floured 13×9 pan. Bake for about 40 minutes at 350 degrees. When it comes out of the oven, you pour the reserved orange juice over cake. Then sprinkle with a mixture of sugar, cinnamon and more walnuts. Voila! Orange Kiss Me Cake! My daughter said, “it tastes like carrot cake.” She had seconds! Next week’s recipe is… Starlight Double-Delight Cake. Heat oven to 350°F. Grease and flour 13x9-inch pan. 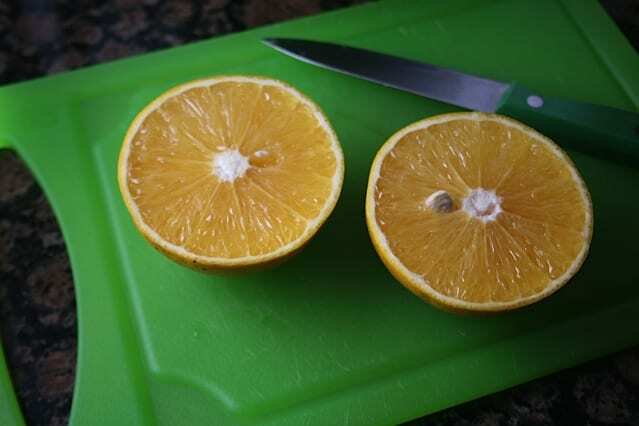 Squeeze orange, reserving 1/3 cup juice for topping; remove seeds. 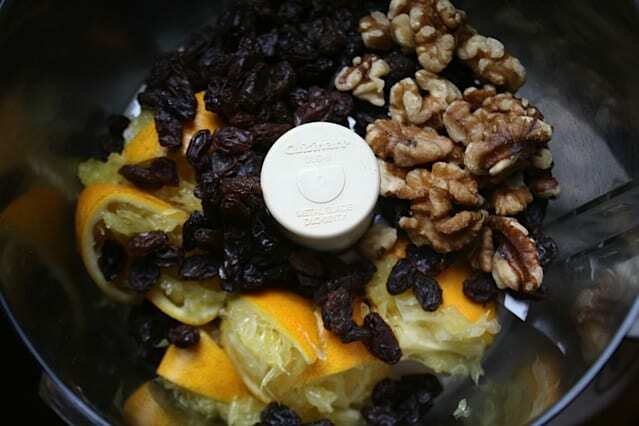 In blender container, food processor bowl with metal blade or food mill, grind together orange peel and pulp, raisins and 1/3 cup walnuts. Set aside. Lightly spoon flour into measuring cup; level off. In large bowl, combine flour and all remaining cake ingredients at low speed until moistened; beat 3 minutes at medium speed. Stir in orange-raisin mixture. 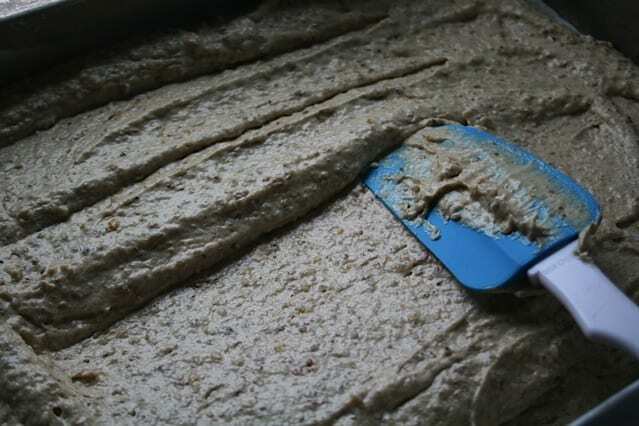 Pour batter into greased and floured pan. Bake at 350°F. for 35 to 45 minutes or until toothpick inserted in center comes out clean. Drizzle reserved 1/3 cup orange juice over warm cake in pan. 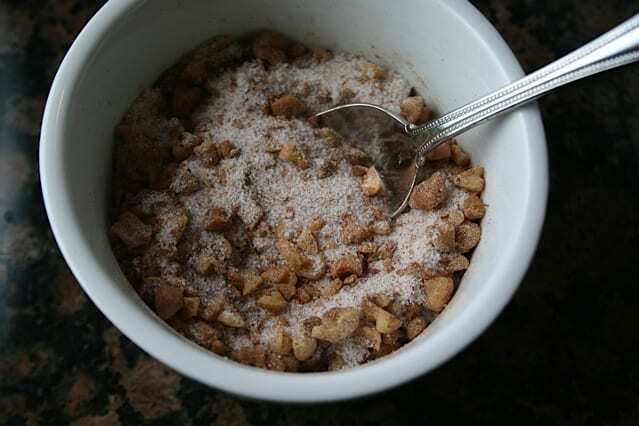 In small bowl, combine 1/3 cup sugar and cinnamon; mix well. 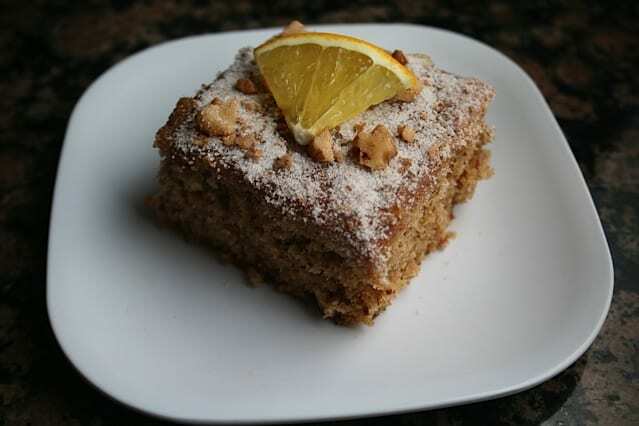 Stir in 1/4 cup walnuts; sprinke over cake. Previous Post: « No-Knead Water Rising Twists – Recipe #1 of 52 Grand Prize recipes in 52 weeks!